Hello hockey fans! We're back again with the second report of this season's Plus/Minus Arena Report. We want to keep you up to speed again this season on arena and franchise changes in the world of North American college, pro, and junior hockey. Hockey season will be kicking off soon, with most of the Tier 2 Junior A leagues taking to the ice by the second week in September. Last time we covered the NAHL and the Junior A leagues in Western Canada. Take a look at what is happening as far as arena and team changes as well as alternate venue and neutral site contests so you can make the most of your hockey travels, and maybe have the chance to attend a game in a place that you hadn't thought about before. We will pick up where we last left off and work our way east across Canada covering rest of the Junior A leagues in this edition of the Plus/Minus Arena Report. The Superior International Junior League kind of flies under the radar in Western Ontario and the Northern Great Lakes states of the U.S. The same 6 teams will take the ice this season in their same arenas as last season. Cardin Hunt Arena Red Lake Falls, Minnesota. The Thief River Falls Norskies with have a game here on October 27th when they take on the Fort Frances Lakers at this alternate venue game. Jus Jordan Arena Iroquois Falls, Ontario. The Iroquois Eskis have been sold and relocated way up North to the town of Hearst, leaving this small community without a junior team currently. Claude Larose Recreation Centre Hearst, Ontario. The Hearst Lumberjacks become the newest team in the NOJHL, skating out of Claude Larose Arena in this Northern Ontario outpost. Countryside Arena Sudbury, Ontario. The NOJHL Showcase returns to this twin-pad arena, which is also home of Laurentian University, in early October. Jus Jordan Arena Iroquois Falls, Ontario. Jus Jordan Arena comes off the schedule with the Eskis moving to Hearst, but the Cochrane Crunch have scheduled 3 games here to give the fans in Iroquois Falls a small taste of the league still. Overall the NOJHL will again have 12 teams in the league and will offer some interesting small town venues for Northern fans to attend. Despite the relatively late release of the schedule in the OJHL the league will remain with the same 22 teams and venues as last season. A pending sale of the Milton Icehawks to a new owner from Brantford will not result in a relocation this season. The league will institute a rule where all players must wear a full cage so we will see if there is any effect on attendance or player recruiting. HarborCenter Rink 2 Buffalo, New York. 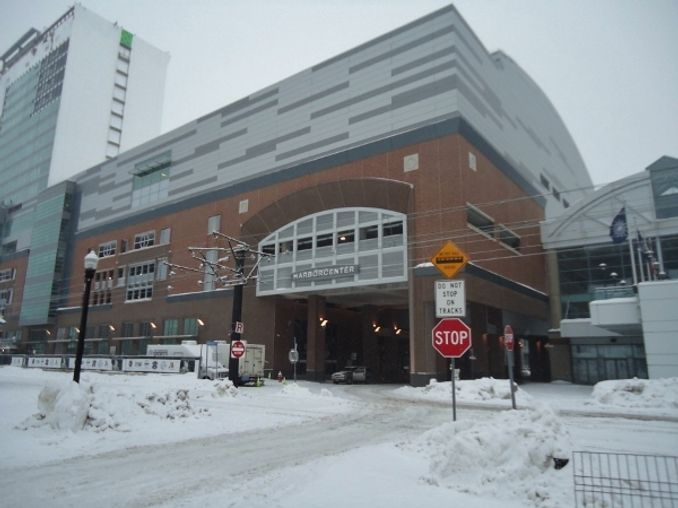 The OJHL Showcase will take place at Buffalo's HarborCenter, home of the Junior Sabres, with action on both the main arena and rink 2 from September 19-21. Tomken Arena Mississauga, Ontario. The Mississauga Chargers will vacate Port Credit Arena for a single alternate venue game against Georgetown at Tomken Arena on February 3rd. Earl Armstrong Arena Ottawa, Ontario. The Gloucester Rangers are moving a bit further east, and the CCHL2's Ottawa Junior Canadians will step in at Earl Armstrong Arena assuring Gloucester area fans have a junior team. CIH Arena Rockland, Ontario. The Rockland Nationals are the newest team in the CCHL, playing out of the beautiful Canadian International Hockey Academy Arena. This arena will also host the league showcase in early October. Ma-Te-Way Activity Centre Renfrew, Ontario. The Kanata Lazers will play 6 games in Renfrew this season, and the area locals will also have the CCHL2's Timberwolves to watch as well. Nepean Sportsplex Rink 2 Nepean, Ontario. 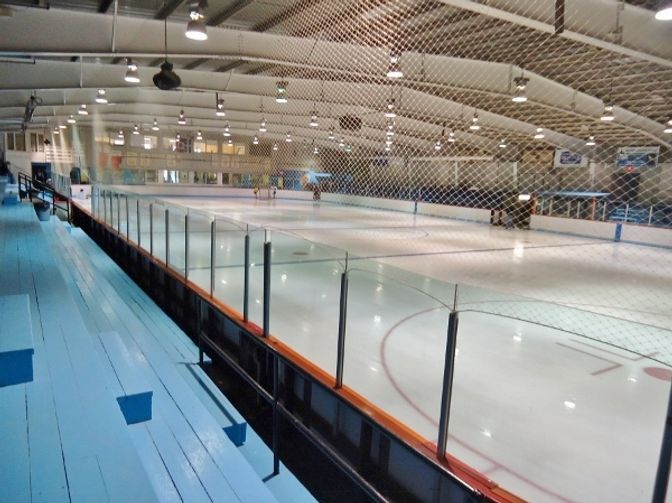 The Nepean Raiders will move down the hall from their usual home of Steve Yzeman Arena when they play Rockland on October 1st as this game will take place in rink 2 rather than the larger arena. J.R. Brisson Complexe Casselman, Ontario. Casselman gets great support for their CCHL2 team the Vikings, but the CCHL will take the ice here on October 5th as the Ottawa Junior Senators take on the Navan (formerly known as Cumberland) Grads. Centre Communautaire Shawville Shawville, Quebec. Since the EOJHL was absorbed into the CCHL Shawville has been without a major tenant. One-off games were hosted here the last couple seasons, and this season Pembroke will head across the river and take on Nepean in November 18th. CIH Arena Rink 2 Rockland, Ontario. Rink 2 at the Canadian International Hockey Academy will be in action for multiple games during the CCHL Showcase on October 9th and 10th. Overall the CCHL's small geographic footprint is great for players and fans, and the league is one of the most stable in all of hockey. Although there is a single franchise switch this season all 12 teams have solid traditions. Arena Vaudreuil-Dorion Vaudreuil-Dorion, Quebec. The Vaudreuil Mustangs have been sold and moved to St. Lazare as there were too many conflicts with ice time at their arena. Centre Sportif de Sainte-Agathe-des-Monts Sainte-Agathe-des-Monts, Quebec. Sainte-Agathe's Montagnards are moving to Saint-Gabriel-de-Brandon but keeping the Montagnards name. Complexe Sportif Saint-Lazare Saint-Lazare, Quebec. The Vaudreuil Mustangs have a new home in Saint-Lazare, with the team being called the Saint-Lazare Revolution. The team will play out of the 500 seat Complex Sportif. With the location only a few miles from Vaudreuil it is possible some of the same supporters may follow the team. Centre Sportif et Communautaire de Brandon Saint-Gabriel-de-Brandon, Quebec. The Saint-Gabriel-de-Brandon Montagnards will bring Junior A hockey to the area and play out of this older 900 seat barn. Despite quite a few franchise relocations in the past few seasons the LHJAAAQ provides an excellent fan experience with passionate fans and some solid hockey making any of the 12 team's arenas worth a visit. Arthur-J.-LeBlanc Arena Dieppe, New Brunswick. The Dieppe Commandos will be taking their club, and one of the coolest logos in Junior A hockey, to Northwestern New Brunswick becoming the Edmundston Blizzard. Poor attendance in Dieppe was cited as the cause, but area fans will still have QMJHL and University hockey to cheer for as Moncton is only a few miles away. St. Jacques Palladium Edmundston, New Brunswick. The Blizzard will start the season in the older arena in town in what appears to be a temporary measure while the team waits for the Centre Jean-Daigle to open. We will leave this one in the Plus category rather than the Bonus Plus category as construction delays could make the transition to the new arena last more than a few games as scheduled. Credit Union Place Rink 2 Summerside, Prince Edward Island. The MHL Showcase is in Summerside this season. Games at the October tournament will be played in the secondary arena in addition to the main arena which is home of the Summerside Western Capitals. Out East in the Maritimes things will remain with 11 teams taking the ice. 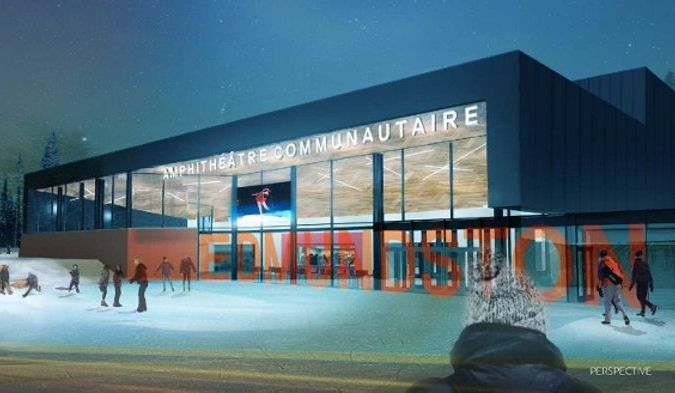 With the new arena in Edmundston there is a bit of a westward shift in the league makeup, but the league will continue to provide entertainment to many of the smaller cities along the East Coast of Canada. So that wraps things up for this edition of the Plus/Minus Arena Report. We will have updates on Major Junior leagues next, as well as reports on the pros and college hockey before their respective seasons start. We know a lot of fans travel and plan to catch games in the higher leagues such as minor pro or major junior, but it is always fun to squeeze in some games at the Junior A level. You may even find some arenas that are hidden gems offering memorable local experiences. So get out there can catch a game at some of the arenas mentioned here! Safe travels!